Shawn Gray writes about martial arts, philosophy, religion, and spirituality. 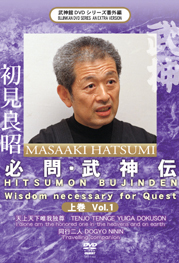 In Part I and II of this adventure, I wrote about how I made my way to Japan in 1990 to teach English, pursue Karate training, and look for ninja grandmaster Masaaki Hatsumi. I had arrived in Japan in early August, and now, finally, in October, after getting settled into my apartment, teaching schedule, and Karate training, it was time to set off in search of the ninja master. Getting information about ninja masters wasn’t as easy in 1990 as it is today. There was no Internet, at least not as we know it now. I remember writing letters home that would take a week to ten days to get from Japan to Canada, and a ten-minute phone conversation to connect with family cost me $100. The only information I had to base my search on was contained in two books on the ninja that I had brought with me to Japan. Both of these books were authored by the same American student of the grandmaster, and both of them pointed to the Iga region as the home of the ninja clans. Eager to meet Hatsumi Sensei for myself, I made plans to visit the area, the city of Iga–Ueno, located in present-day Mie Prefecture. I was asked today to write something about Kaname in advance of a seminar I’ll be giving at Bujinkan Manitoba on May 26/27. The following are some thoughts I put down based on my experience of feeling and hearing what Sensei has been teaching on this subject this year. Kaname (要) is a word that means “essence,” or “essential point.” It refers to that which is necessary for a thing to be what it is. For example, each technique from our Nine Schools has something about it that makes it unique. For Ganseki Nage to be Ganseki Nage, and not Omote Gyaku, there are things about it that make it distinct. Those things are the “Kaname” of Ganseki Nage, the things that make it what it is, distinct from other techniques, the things that comprise its essential character. I’d like to start this blog by thanking the readers who have expressed their appreciation for the posts I’ve made thus far. Thank you for your feedback and letting me know that you’ve found what I’ve written to be helpful to you. My intention was to make one entry per month, but last summer became very busy, and that continued right through the end of the year, so that whenever I would prepare to write an article, I’d think to myself, “Is this really the most productive thing that I could be doing right now?” The answer most often was, “No.” And so the blog went quiet for a few months – but in the meantime, I’ve kept an active list of interesting topics that I want to write about, so these will gradually be coming out in the next little while.